Read while listening to Ital Tek – Strangelove. I entered the gallery. Rows of gilt, bronze Buddhas arrayed before me. Each Buddha floated in a glass box. Each Buddha was reflected fourthly, by the the four enclosing glass panes. But the glass panes reflected each other, resulting in an infinity of reflection. Of Buddhas. Rows of Buddhas each reflected to infinity. The effect was dazzling. In the muted light of that gallery, centuries of human art manifested in the serene and knowing countenances of those Buddhas. 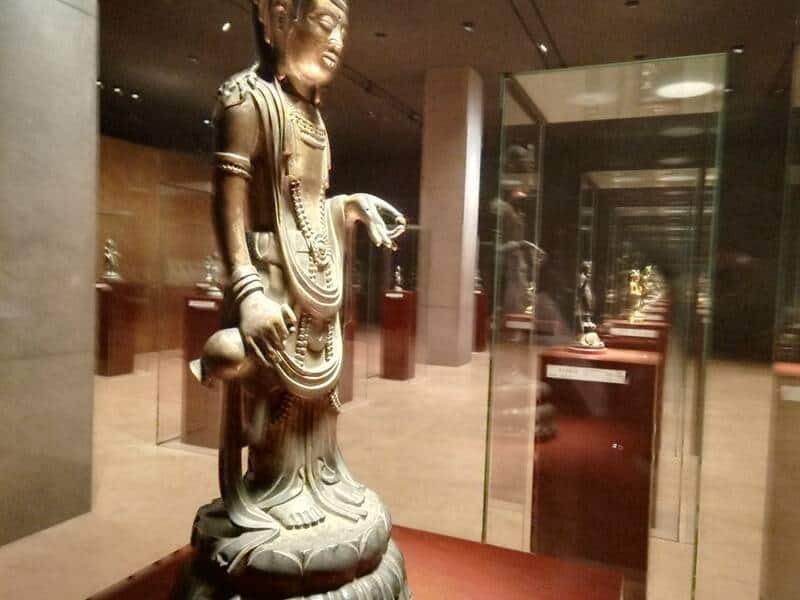 Gilt, bronze buddhas in the Tokyo National Museum. In an instant, I was transported back to Bagan, Myanmar. On Bagan’s dusty plain, in the banks of the Irrawaddy, I remember one of the many small shrines. Compared to the massive neighbouring pagodas of Sulamani and Dhammayangyi, that shrine was nondescript. But that shrine had its murals intact. 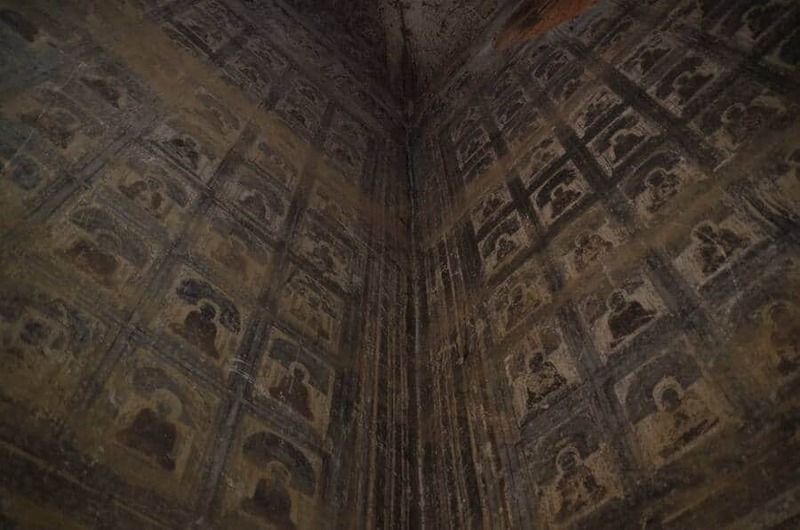 And those murals painted Buddhas radiating upwards from floor to ceiling. Buddhas stretch towards infinity in Bagan, Myanmar. Thousands of kilometers separated Bagan and Tokyo. But Buddhism formed a single narrative. How strange. From Ajanta and Ellora’s cave paintings, to Bagan’s sleeping Buddhas, to Japan’s gilt bronzes. In the gallery, you felt history whisper across Asia. For a moment, you glimpsed a single thread of some majestic, dazzling, transcendent tapestry that you could not possibly comprehend. The next moment your mind only had the infinitely reflected Buddhas to contend with. Later, you’ll see the Itabi slabs. Their stylized Sanskrit characters veritably runic. From 1295. 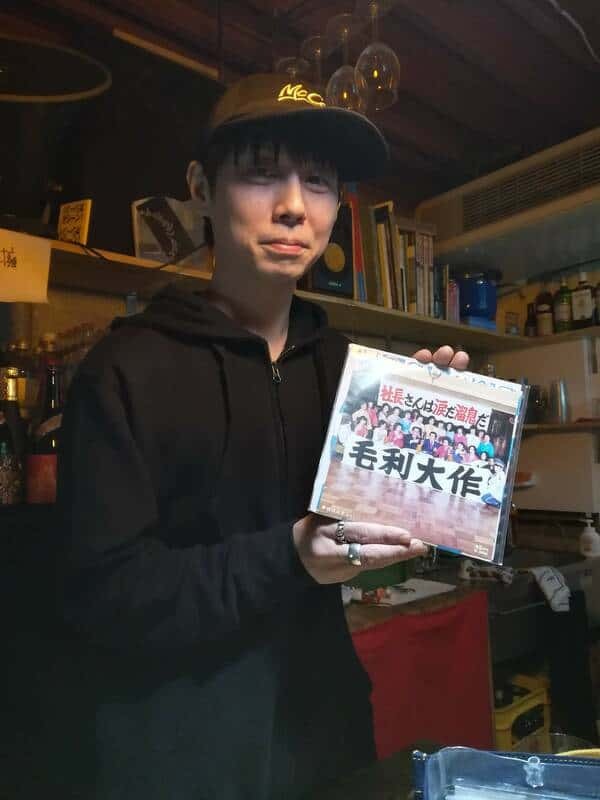 Gift of Umehara Tamekichi. 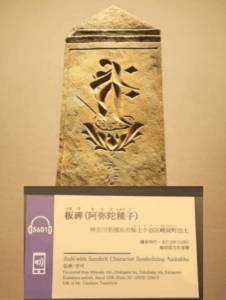 What did the Japanese see in their Sanskrit characters? Did they imagine a land born of the Indus and the Ganges? A land hot, fervid, and ancient? Did they conjure Bodh Gaya? Or did the Sanskrit simply symbolize a way? The Buddha’s way. In WWII, Japan attacked India. My grandfather fought against them in the British army. Today, Japan is building India’s first bullet train. Between Ahmedabad and Mumbai. Whence these ancient ties? Whence these modern ties? What is our identity? What is the course of history? I read the diary of a mother who could not find her son. 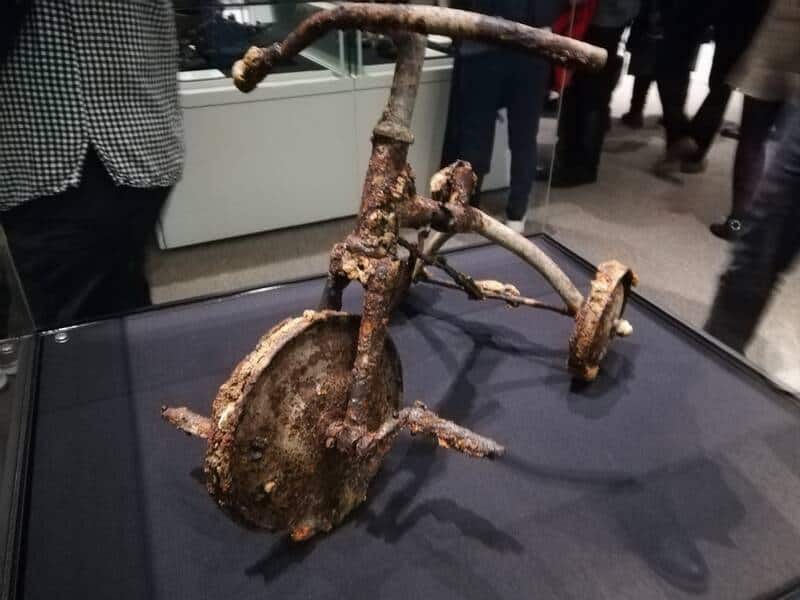 I saw a metal tricycle disfigured by heat. For some reason, that metal tricycle stayed with me. It represented innocence lost. Perhaps not just for a child but for humanity. The world was different after August 6, 1945. We simultaneously split the atom and lost our innocence as a species. Today, a cold war plays out in East Asia. China encroaches on the South China Sea. Japan tries to amend its pacifist constitution. India, Japan, and the USA hold annual military exercises in Asia Pacific. Is war followed by peace followed by war followed by peace? Must game-theoretic tension always be released by war? The questions swirl. The Buddhas gaze unchanged. “Strive for that tapestry“, they say. Across centuries, continents, polities, and religions. There is a song. Perhaps only Buddhas comprehend that song. Kyoto. 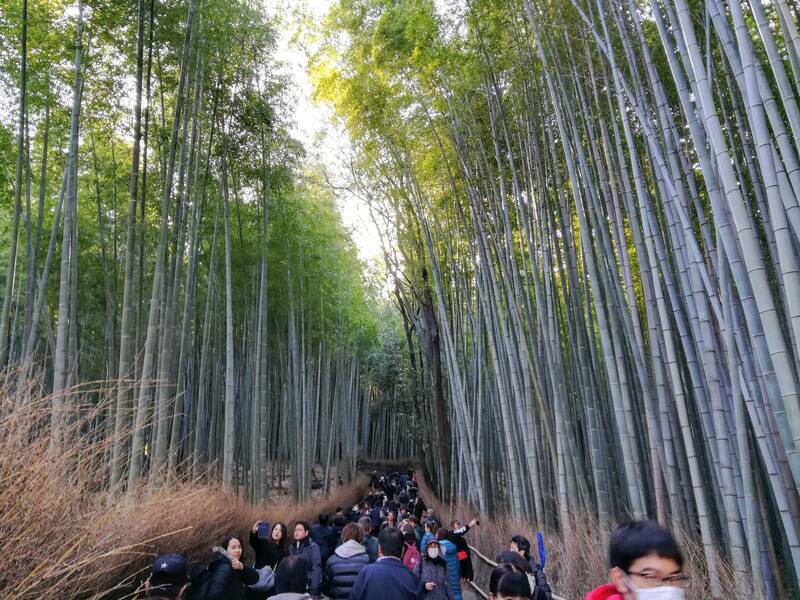 The Arashiyama bamboo grove is choked by tourists. All faces are upturned. Cameras raised. Poses struck. The bamboos screen the world. Now, here, there is only a green calm broken by the clack of selfie-sticks. The centuries-old bamboo is now imprinted on my semiconductor camera sensor, magically compressed by fantastical algorithms, and sucked up into the internet. Thanks to me and every other person in the grove, the bamboo is recorded into magnetic fields on disk drives in data centers across the planet. How odd. Beyond the bamboo grove, the tourists thin. There, lies a garden, its formidable 600-yen fee deterring the casual tourist. We enter. The crowds relax. Moss blankets the ground. Gentle trees line your path. You stop, breathe, relax, walk. Slowly. 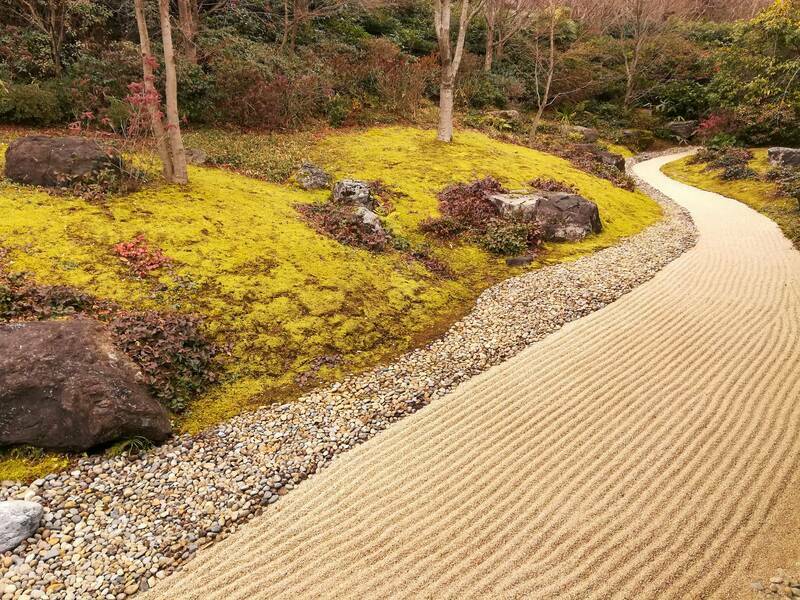 Kyoto’s zen gardens are sanctuaries of bliss. Experiences to slowly savour, drops of eternity to meditate on. The world is at standstill. You spy a path. The sign says “only merely, please sit down calmly“. A rock garden with brushed pebbles. I sat. Closed my eyes, Meditated. Somehow, meditation was easier. In that meditation, I resolved to be better. To be more patient, more understanding. To control my responses. It seemed right. Everyone knows that cities tend to be dirty and impersonal. Not Japan. Not Tokyo, not Kyoto, not quite Osaka. The Japanese people’s unity, their sense of oneness, I have not seen before. It shows in their cities. Their cities are spotless. The people are unyieldingly helpful. The Japanese demonstrate the heroism of culture over the laws of physics. Their cities aren’t dirty and impersonal. A deep, deep insight into the human condition. We can beat war follows peace follows war follows peace. Humans aren’t simply game-theoretic slaves. Culture is what separates us from every other thing in the known universe. Our culture makes us infinitely malleable, infinitely adaptive. We can choose to seek that tapestry. To know the ties that bind us. To be one. Bioethnogeography. How did Japan’s fecund climate, its fertile soils, its limited agricultural land, and small size create this homogenous, monolithic culture? In the 1800s, France forbid all languages except Parisian French. France went from a patchwork of regional languages to monolithic Parisian French. Similarly for Japan. In the late 1800s, the Meiji government imposed a standard Japanese language. France and Japan formed national identities. Does identity require a common tongue? Will the world standardize on English? Will English give us a common, shared identity? Will everyone be coffee-coloured and be called Alex? I recognized his tattoo right away. Burning Man. 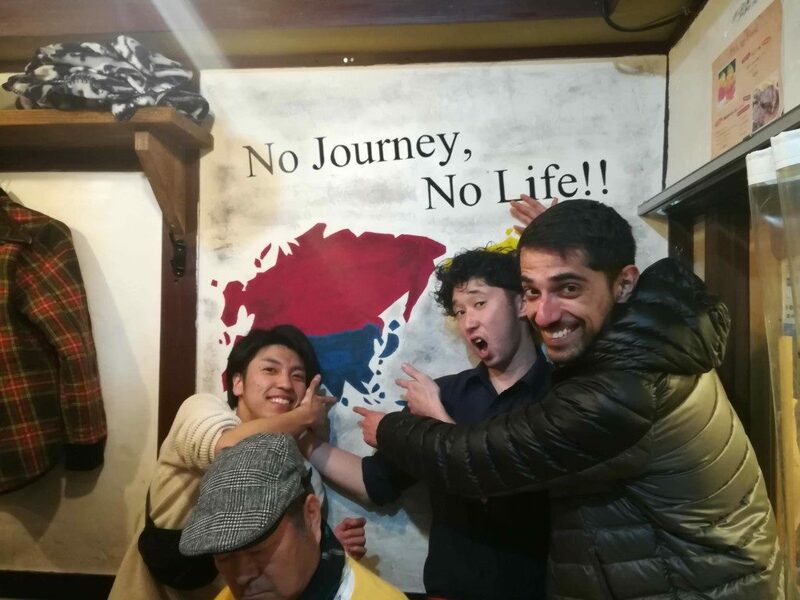 We were in a bar in Kanazawa. Outside, it snowed. 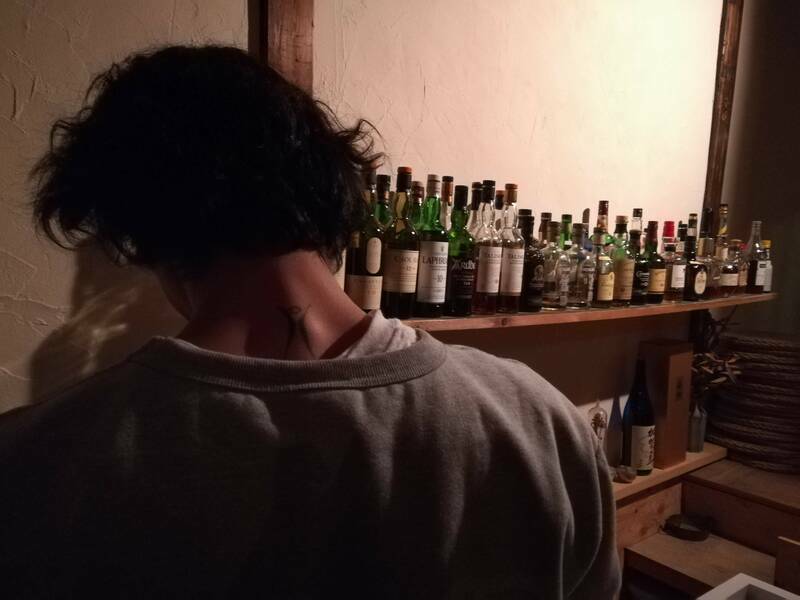 The bartender turned and there, on his neck, was the tattoo. “Have you been to Burning Man?“, I had to ask. “Hai.” “Oh, which year?“, my phone translated the question into Japanese. “2014.” “Oh! Me too!” We connected instantly. No other words necessary. Here, in this corner of Japan’s snowy Western coast, a festival in a faraway dusty desert connected us. With a tattoo and a phone. How precious. How did an Indian and a Japanese connected over a US festival? What were the ties that bound us? Was Burning Man the Buddhism of the 21st century? In Osaka, I connected again. I wandered the Misono building. On the second floor, umpteem tiny bars line your path, each bar a microcosm unto itself. Of one bar I heard electronic music. The kind I liked. That was my bar. Between the few words of English and phone translation, we connected. We drank sake and listened to psychedelic trance. Again, a music genre birthed of Western hippies on the beaches of Goa connected the Indian and the Japanese in Osaka. Odd. Shouldn’t the Indian and Japanese be communing over Buddhism and not the 808? What has the 21st century brought us? Gamer culture. Electronic music. Massive festivals. Skate culture. Goth, grime, pop, grunge, hippie, rationalist, vegan, anarchist, communist, LGBTQ+. Do we fragment into a million shards of postmodern identity? Or do we form a global gestalt, with our competing identities the froth on the immutable sea of mass pop culture? Takayama grounds you. 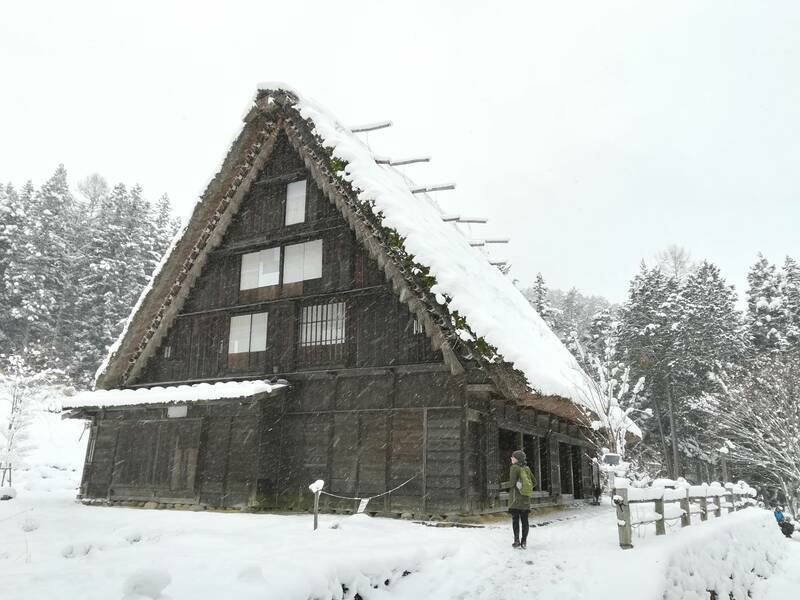 Its Folk Village museum teaches the hardships of mountain life. Your concerns are snow, cold, food, harvest, and survival. Beating straw to make home goods, building houses that bear the weight of snow, and packing earthen flows that stay warm and moist. A small lesson that we are of nature, not outside nature. Atom bomb or no atom bomb. Nature is all we have. We do not transcend Nature. That lesson is hard to find in artisanal coffee pour-overs or in the latest fast-fashion trends. It’s easier to find in a cold, snowy village museum, under thatched roofs and on packed, earthen floors. The day we saw Hiroshima, it was Nature that healed. Hiroshima is a tour in despair and sadness. It reminded me of Auschwitz. “Let this be a cry of despair and a warning to all humanity.” Both shake faith in ourselves. After Hiroshima, we headed to Miyajima. 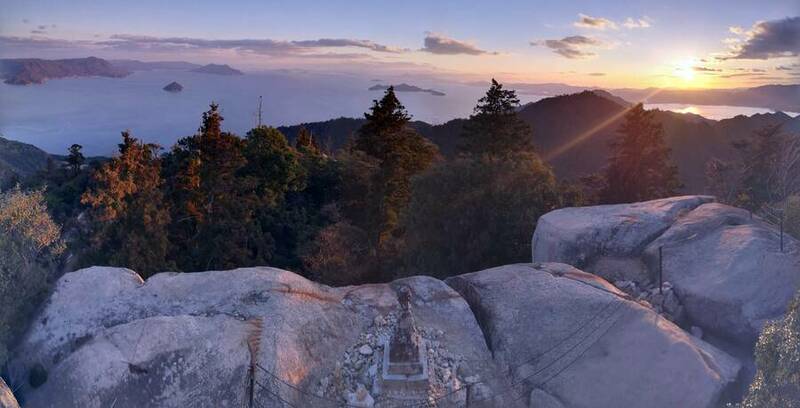 On Miyajima, we saw an utterly stunning sunset over the Seto Sea. Islands, blanked in lush green jungle, lay scattered like emeralds on the placid, blue sea. A few lazy clouds courted the sunset. The Sun cast the sky into yellows and oranges. Mountains ringed the horizon, fading and falling away. The Sun set. I was content. The mountain and the sunset answered my unspoken question. There was no question. Nature transcended human existence. The Sun set. The moment remained. This is why I travel. For meaning. For perspective. To experience, to understand, and to be reassured by what our world is made of.